Xiaomi has started rolling out Android 8.0 Oreo update for Xiaomi Mi 5 Smartphone in India. 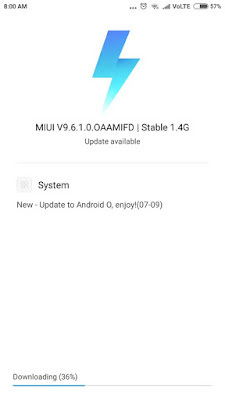 The Update is 1.4GB and Build Version MIUI V9.6.1.0.0AAMIFD. Xiaomi Mi 5 Android Oreo update is based on MIUI 9.6. It will be getting MIUI 10 Update Soon. The update brings Full-Screen Gestures support. Xiaomi Mi 5 feature a 5.15-inch (1920×1080 pixels) Full HD display with curved glass Xiaomi Mi5 is powered by a 1.8GHz Snapdragon 820, 3GBRAM, 32GB storage.On camera smartphone has a 16MP rear camera with Dual tone LED Flash and 4MP front-facing camera. 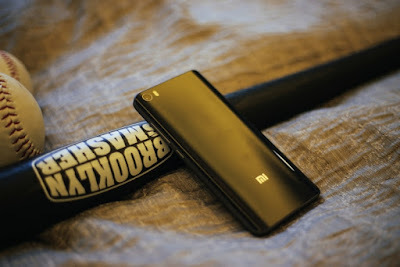 Other features include a fingerprint scanner, dual-SIM capabilities, Bluetooth 4.0 and support for NFC. MIUI 7 is pre-installed. It has USB Type-C port and packs a 3000mAh battery with Qualcomm Quick Charge 3.0 that will offer talk time of up to 2.5 hours with just 5 minutes of charge.